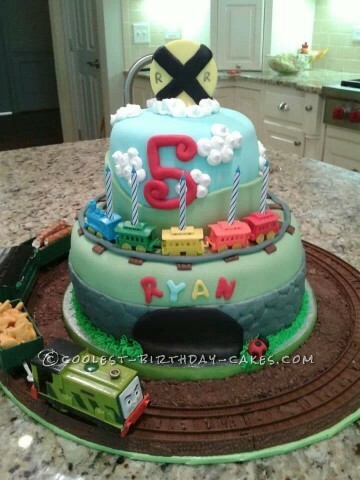 Put on your conductor’s hat and pull into the train birthday cake station! 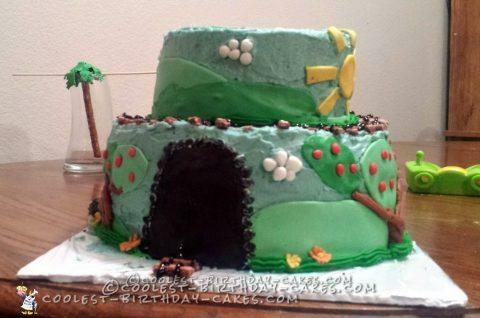 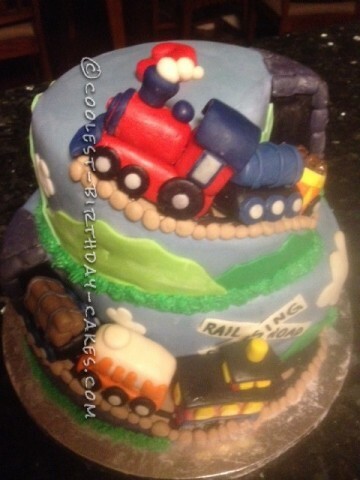 The cakes here will propel you to your birthday destination whether you take a steam engine or electric train. 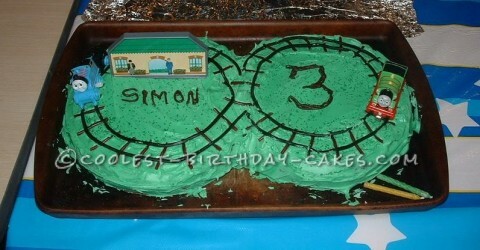 When making three dimensional trains, many decorators here have baked their cakes in loaf pans. 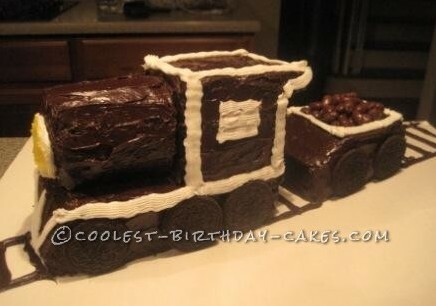 This helps minimize the cake carving mess in order to make many train cars. 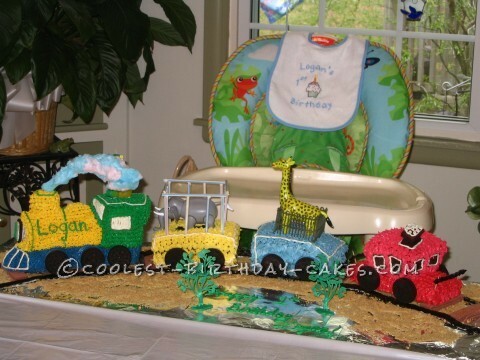 Fill whatever cargo you like into the cars. 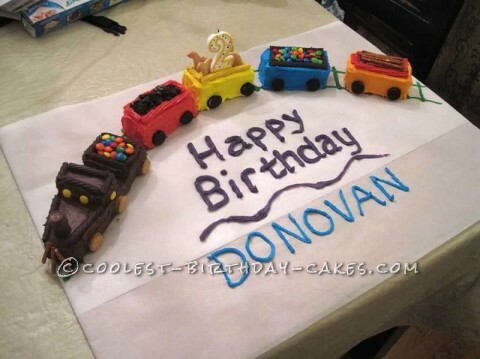 From pretzels to chocolate coins and even animals, you will see personalized cargo based on the birthday child. 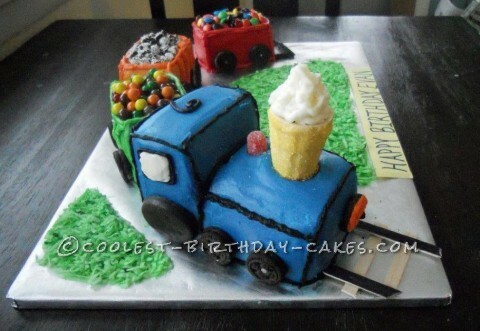 Some bakers have cleverly used ice cream cones as smokestacks with sugar smoke coming out. 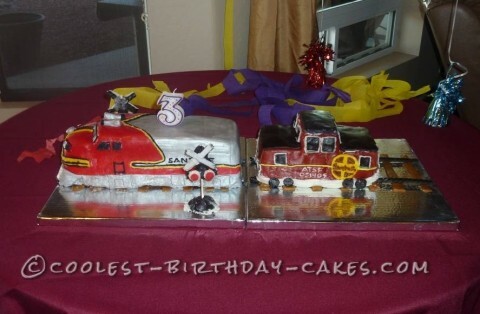 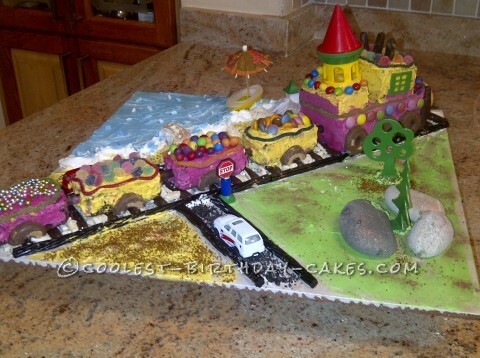 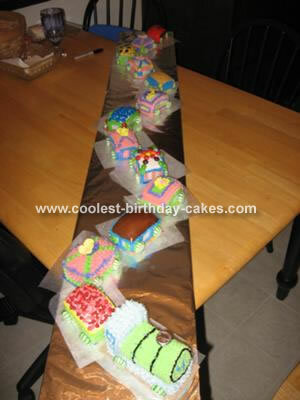 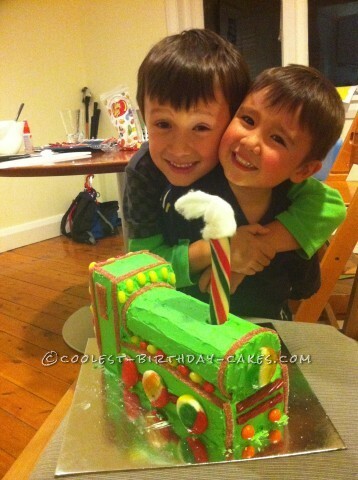 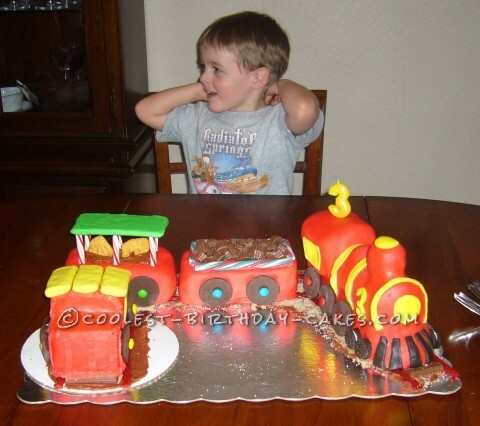 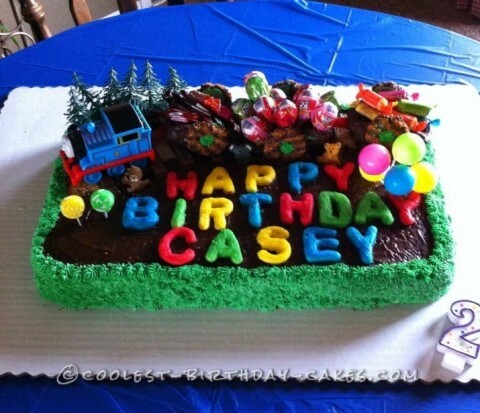 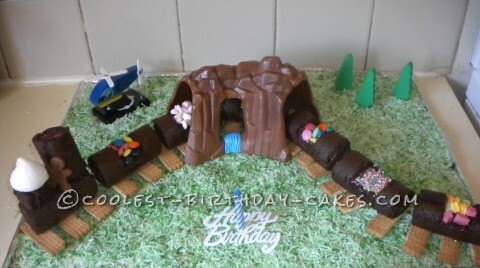 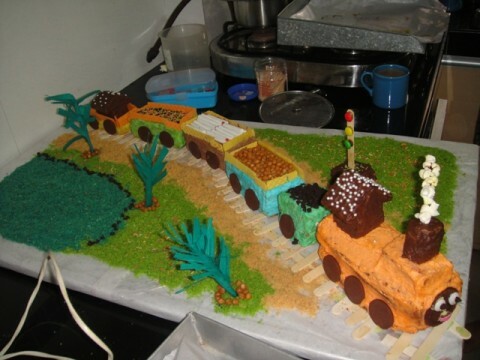 Read how to make train tracks and have your train wrap around a cake. 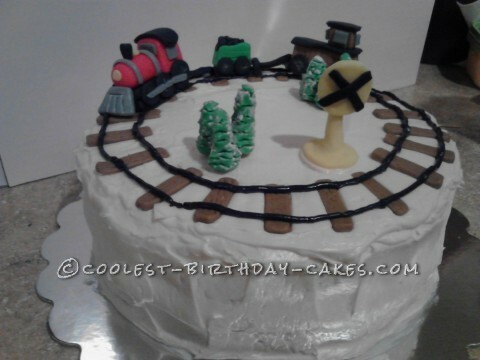 Additionally, you will also find instructions on how to make a railroad crossing gate. 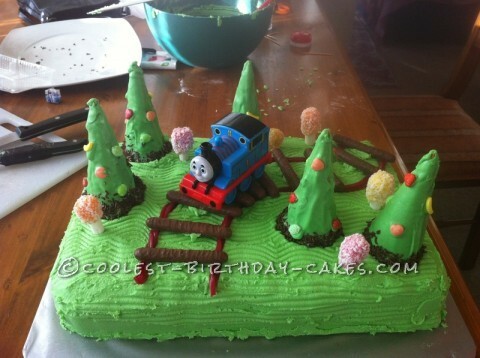 Of course, no train collection would be complete without Thomas the train. 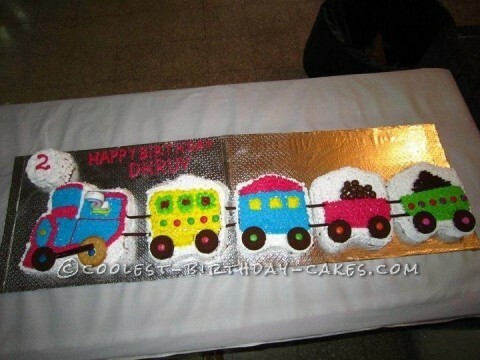 He makes numerous appearances as a train birthday cake. 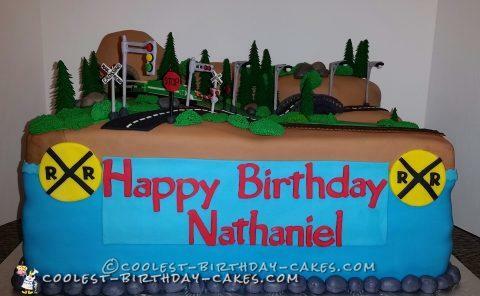 Sit back and enjoy your ride! 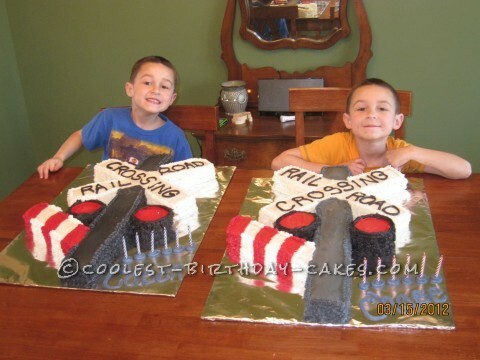 Coolest Train Cake for a Grandpa!